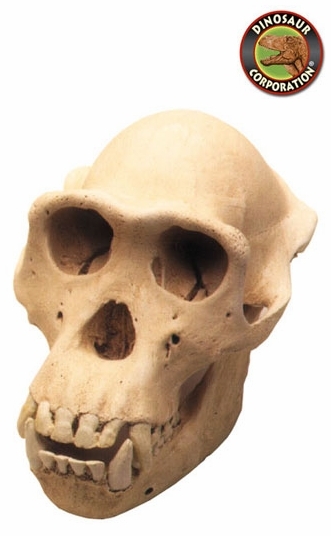 Chimpanzee skull. Life size. Chimpanzees, sometimes colloquially chimp, are two extant hominid species of apes in the genus Pan.